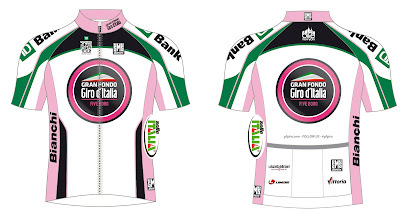 On Sunday, May 5th the inaugural Gran Fondo Giro d’Italia - Five Boro will get underway. In this case the Gran Fondo Giro d'Italia has partenered with the TD Five Boro Bike Tour, a tour which attracts about 32,000 riders. Gran Fondo riders will start before the Tour riders. The course, 40 miles in length, passes through the five boroughs of New York City on car-free roads, thanks to the cooperation of City agencies and officials. 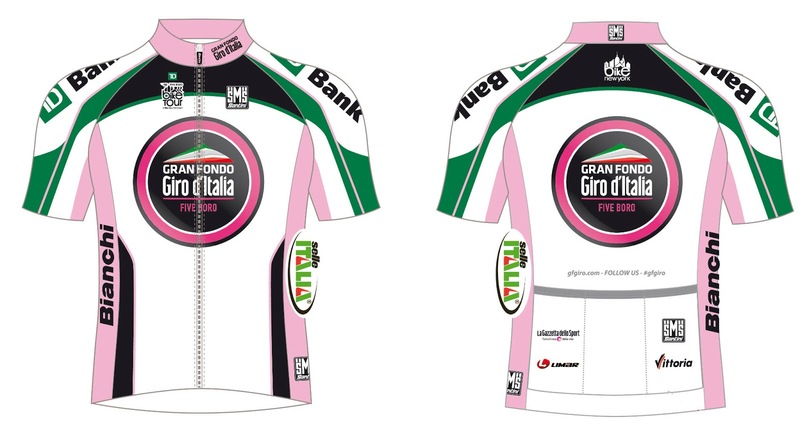 At the start line will be special guest Gianni Bugno (Giro d’Italia, 1990 which he lead from start to finish); World Champion 1991 and 1992) who will ride side by side with the Gran Fondo participants. The organization of the Gran Fondo Giro d’Italia is managed by RCS Sport; RCS Sport is also the organizer of Giro d’Italia. The Gran Fondo Giro d’Italia - Sea Otter Classic was held in California this past weekend, you can read a review here. The Campagnolo Granfondo New York gets underway two weeks later on Sunday, May 19th, 25 days from today.The competition at GFNY will be based on the time it takes a rider from crossing the start line until crossing the end of timing line. Each rider will be individually chip timed. The timed distance will be 97 miles. The last few miles to the finish in Weehawken will not be timed but have to be covered to be an official finisher and be eligible for awards. The Bear Mountain timed climb, "cronoscalata", is still in place but there won't be prizes for fastest times on this climb. Event information at www.granfondony.com; the max field size is 7,000 riders. I love how these events get huge amounts of riders. You can see why the UCI still want their slice of the pie! Good luck to all the riders taking part and you know what... leave the strava at home and just enjoy the ride!